The sensor was actually announced back in 2010, but Canon now seem to deem the time ripe to introduce it as a commercial product. Details are scant and the internet is pretty much filled with a whole lot of supposition at the moment. 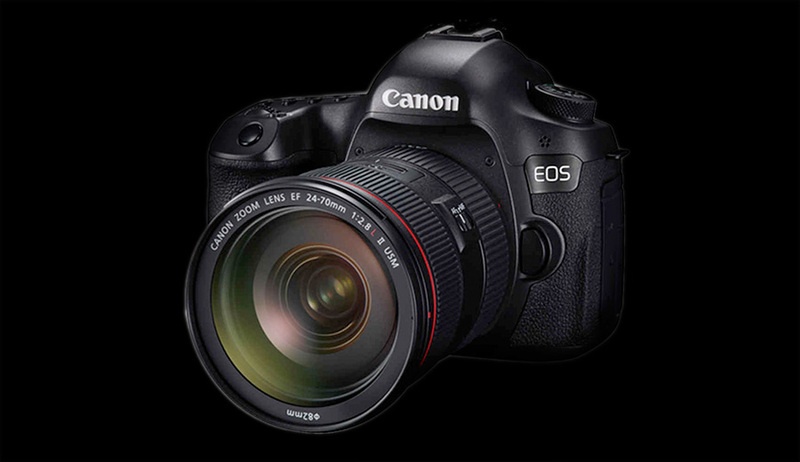 The basics are that the sensor has a new architecture compared to the 50mp CMOS sensor in the 50mp 5Ds. It would have to I guess since the photosites are going to be that much smaller (the sensor is also an APS-H type which Canon seems to often use for development purposes). Apparently the sensor is currently only able to shoot at its base ISO of 100 (see this link). The RAW files out of camera are also around 210MB. That’s a lot of data. Effectively it will mean that a 16GB card will only be able to store 60 images. Should this camera ever emerge it certainly won’t be an event photographer's immediate choice. To be fair, Canon would probably allow the user to select a resolution, much like Phase One have done with their higher-end medium format backs, allowing perhaps a higher ISO by combining the light gathering abilities of a cluster of sensels (note that this is pure conjecture on my part, but it would make logical sense). The 120mp Canon is actually to be developed in conjunction with an 8K video camera, 4K screen and various software options to downgrade and crop back to 4K and lower resolutions. Canon are rather aggressively pushing the megapixel race it would seem. This is interesting since we are only at the very edge of 4K becoming mainstream as it is. One of the biggest problems facing the emergence of 4K is the actual delivery and storage of it as a medium. if you think that 120mp for a still image is going to create storage issues, you haven’t even begun to comprehend the issues that 4K raises. 8K is almost incomprehensible in terms of how much data it actually creates. Something else has to change for Canon, and Red for that matter, to get 4K and upwards cameras being used as a norm in anything other than high end movie production. Even the dissemination of films is becoming tricky as the distribution of 4K content is extraordinarily bandwidth heavy. It isn’t just the storage that becomes a problem. Just getting the data off the card fast enough is going to raise issues for Canon. By no means am I implying that it can’t be done, just that the sheer volume of data being produced is going to create enormous implications not only for camera architecture but for workflow as well. Currently I shoot with a D800 which produces lossless compressed RAW files of around 30-40MB. Output to 16bit Tiff it comes to 207MB! Running a fairly decent iMac with a quad core processor and 24GB of RAM on board still has Lightroom lagging at times. Imagine this now with a RAW file four and a half times larger. Apparently Canon are aiming for the ability to crop in to the image without the use of a larger lens. This is certainly a possibility and I myself have used this shooting sport with a D800. However, a crop, regardless of the camera’s resolution is not as good as using the correct lens or simply getting closer to the subject. Distance also plays a role in the sharpness of an image. The air interface that we shoot through literally reduces contrast and sharpness. Still on the issue of the cropping, Canon have apparently said that that only 60 of Canon’s current lineup of 96 lens would be compatible with the proposed 120mp camera. As was discovered when the the D800 was launched, 60 lenses is probably a generous estimate (a large percentage of Nikon's best lenses were suddenly seen as inadequate for matching the resolving power of the 36mp sensor. 60 lenses may be ‘operable’, but far fewer will stand up to the incredible resolving power required by the new sensor. Still, coupled with the right lens 120mp is going to produce jaw-droppingly defined images. Studio and landscape photographers will no doubt sit up and take notice. Personally I am surprised that the move is towards more pixels. I suspected rather that we would see different ways of combining pixels (like Fujifilm's move to a different colour filter layout) or more development in stacking sensels like with Sigma’s Foveon technology. Again, I don’t think it is unfeasible that the new 120mp sensor will be used in ways other than the conventional 1 photo site = 1 pixel. Time will tell on that one. I’m not writing this to say it can’t be done or even to say we don’t need the resolution bump (we probably don’t, but as with most new tech we tend to wonder what we did without it once it’s in use). I am optimistic about what it might bring to future cameras; but, the operative word is very definitely ‘future’. Canon made no commitment about when or even if the sensor will actually make it into a real-world off-the-shelf camera. It is entirely possible that Canon have made the announcement so as to test the public’s interest. Judging by what I have read so far it is the usual mix of ‘fantastic’ and ‘no, this is a dooms day instrument’ (sorry, tongue firmly in cheek). Don’t expect this sensor in any camera for a couple of years at the very least. It is more likely that the 8K video camera will emerge first. Canon, for the last 5 years or so have been very aggressively attacking the video industry and in particular the movie industry. They are very much targeting RED and Arri cameras with their competitively priced PL and EF mount cine video cameras (competitive in relative terms; the C300 mkii body will set you back US$16,000). So, don’t hold back if you happen to be about to purchase a EOS 5Ds or a new Sony A7Rii or even a Nikon D810. Development cameras and tech are still essentially vapourware until they are available and in your hand. What you have now can already produce incredible results, even if it happens to be 5 years old. My personal feeling is that we crossed a threshold in consumer cameras in 2010 where the quality from then on was so good that effectively we don’t NEED any better image quality. Better image quality will never be scoffed at, but the gains are so small in actual perceivable terms that for the vast majority of camera users, the new camera today is only marginally better than that of a few years ago. Great things are still coming and as I have written before, we are in a golden age in terms of the equipment that we currently have available to us. Wow, now look at what’s coming. Just don’t let it stop you capturing images today while you wait for tomorrow.